A bold and uncompromising feminist manifesto that shows women and girls how to defy, disrupt, and destroy the patriarchy by embracing the qualities they've been trained to avoid. 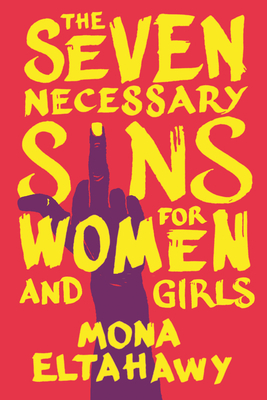 Seizing upon the energy of the #MeToo movement, feminist activist Mona Eltahawy advocates a muscular, out-loud approach to teaching women and girls to harness their power through what she calls the "seven necessary sins" that women and girls are not supposed to commit: to be angry, ambitious, profane, violent, attention-seeking, lustful, and powerful. All the necessary "sins" that women and girls require to erupt. Eltahawy knows that the patriarchy is alive and well, and she is fed the hell up: Sexually assaulted during hajj at the age of fifteen. Groped on the dance floor of a night club in Montreal at fifty. Countless other injustices in the years between. Illuminating her call to action are stories of activists and ordinary women around the world--from South Africa to China, Nigeria to India, Bosnia to Egypt--who are tapping into their inner fury and crossing the lines of race, class, faith, and gender that make it so hard for marginalized women to be heard. Rather than teaching women and girls to survive the poisonous system they have found themselves in, Eltahawy arms them to dismantle it. Brilliant, bold, and energetic, The Seven Necessary Sins for Women and Girls is a manifesto for all feminists in the fight against patriarchy. Mona Eltahawy is an author, activist, and commentator. Her essays and op-eds have appeared in the New York Times, Washington Post, Guardian, Time, NBCNews.com, and New York Magazine, among many others. Follow her on Twitter at @monaeltahawy.